“You could live more life in one congruent day than many people live their entire lives. If you aren’t conscious, present with yourself, you’ll never experience lasting change in your relationship with food, emotional eating, your body and how you experience your life. 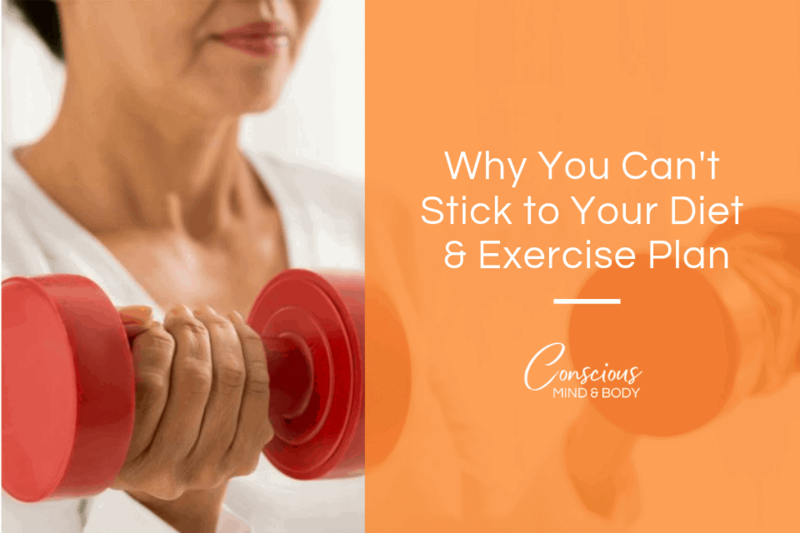 Nutrition and exercise are important, but without a shift in your consciousness, you’ll be right back to where you were at the start, sooner than the diet’s end. Tomorrow is tomorrow. Future cares have future cures. And we must mind today. This is the only thing you need to do. When you’re present you make moment to moment choices that all add up to big changes. Think about today and what you need right now. Sift through the immediate gratification and get closer to the core of what your heart desires most. Most people who struggle with emotional eating, body image, chronic dieting, etc. are on the hunt for the least painful and quickest way to see change. If a quick fix is all you’re looking for, then stay unconscious. When you “fall off the wagon” a new diet or exercise program is always just around the corner. But, if you want to get off the diet merry-go-round, a much more effective strategy than wishing you are somewhere else, is allowing yourself to accept the challenge of being present right now and become a Conscious Eater. Being present is clearly assessing where you are at this moment and includes both the positive, fulfilling parts of yourself that you like as well as the draining aspects of your life that you need to either limit or use as an opportunity for growth or both. Are you in command of your present self when you’re thinking about your future self? The only way to “obey” yourself is to be quiet, listen and “command” your body with the clarity, kindness and self-compassion you need to move forward. A plan based on your unique needs with a good measure of clarity about what you need to change is a change that lasts. When you’re present and can clearly recognize the guidelines which work best for you, you have choices to make. As you figure out what you need, how to get it and how to incorporate your needs into your everyday life, you will build confidence that you’re on the path of transformation. You will get to a place where things make sense and the difficulties you experience from living with another person’s guidelines, for their food relationship is impossible. You need to listen to your mind, body and heart and do what’s right for you. When you’re present, opportunities open up since your eyes are open to actually see them! You’re able to see things as they really are and your path from today to where you want to be is easier. What happens on the path will often be unpredictable and at the same time, by being present every day, your choice by choice decision making will also be clear. Practice more of what works and stop doing what holds you back. When thinking about your relationship with food, it’s easy to get lured into focusing on the end result- your need to stop emotional eating, to stop feeling badly about your body and feel comfortable. The problem is that most plans tell you to follow one path with paying attention or questions the path. Keep focusing on the end result because that’s the only selling point it has. When you skip over the middle part of change, you lose all of the stuff you need to learn. The middle part of the process is where your hard work creates the change. This phase is rich with opportunities for self-knowledge about what you need to know about yourself to achieve your success. This is how change becomes a part of you and it is rich with information. Protect yourself from intrusive diet messages that corrupt your transformation. Even as we live with the knowledge that each day might be our last, we don’t want to believe it. Acceptance lays the foundation for all of the stuff you want to achieve. Look at yourself clearly as you are. It’s difficult when you don’t like your experience of living in the body you’ve got, yet it’s essential. As you grow in acceptance make sure you sprinkle in a lot of the positive thoughts and feelings, no matter how few, they will multiply and nourish your desire for change. Following someone else’s plan can only get you so far. You need to build your future by accepting where you are right now while focusing on gaining more self-knowledge. Transformation cannot be built on someone else’s truths for their life. Transformation can only occur as you get to know who you are and where you’re going. Getting where you’re going is faster with clarity. Clarity requires that the noise and distractions are in the background. You don’t pay attention because it doesn’t matter to your goals for yourself. You’re able to identify what you need to do right now that is in alignment with your goal. Wishing and hoping for change melts into the act of doing only what you need to do to get to where you want to be. Clarity gives you the opportunity to take a deep breath and when you exhale feel the weight of expectations, pressures to conform and interruptions of rules that don’t fit you. You can finally say, “ahhhhhh,” and feel at peace that your relationship with yourself, while not perfect, it’s progressing. The way to make your plan work is to work on the fundamentals. Be present, follow guidelines that work for you, start from where you are today and accept yourself with clarity. This is a foundation you can build a new relationship with food and your body upon. Enjoy food and feel good about it.